How to Moisturize Oily Skin Naturally - beautymunsta - free natural beauty hacks and more! 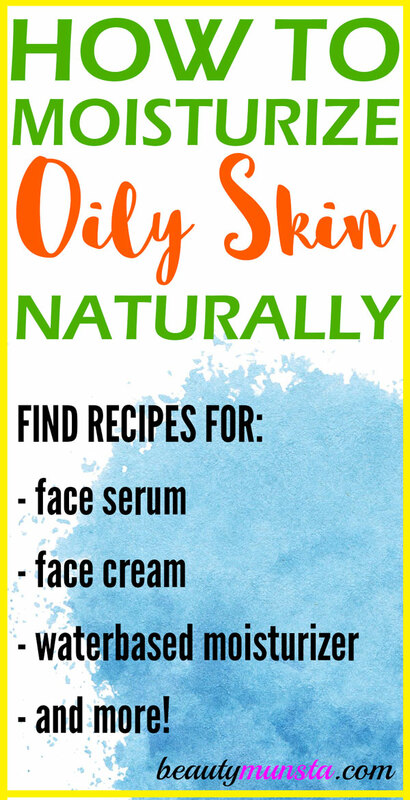 Learn how to moisturize oily skin naturally with 6 helpful tips and recipes! Do you really need to moisturize oily skin? Yes, you do! All types of skin needs to be moisturized to balance out oil production. Imagine you don’t moisturize oily skin – you just wash your face with your usual face wash then pat your face dry and leave it just like that. Many people do this to dry out their face. But this actually makes your skin to go into an overdrive to make up for the lost oils and start producing even more oils and you’ll find your face greasy by the end of the day! The comedogenic rating of an oil: This is a scale from 0-5 showing how much an oil can clog up pores, with 0 for ‘absolutely won’t clog pores’ and 5 for ‘will definitely clog pores’. 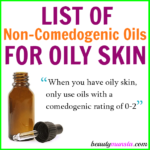 Choose oils with a comedogenic rating of 0-2. To be safe, invest in oils that have comedogenic ratings of ZERO. 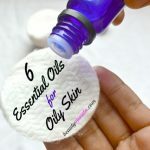 These include: argan oil, hemp seed oil, sunflower oil, shea butter (not exactly an oil but an excellent moisturizer), prickly pear oil, safflower oil, watermelon seed oil and others. Is it a ‘dry’ oil or ‘heavy’ oil? Dry oils exist. These oils are those that when you apply on your skin, do not leave it feeling oily, or greasy but sink in rapidly, leaving your face ‘dry’. Heavy oils on the other hand when applied, do not sink in your skin which leaves a heavy greasy feeling on your skin. Dry oils you should consider include hemp seed oil, moringa oil, grapeseed oil, apricot kernel oil and rosehip seed oil. Face serums are nourishing products that deliver powerful nutrients into your skin. 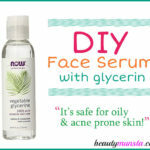 Make a sebum-regulating face serum to balance out excess oils on your skin! 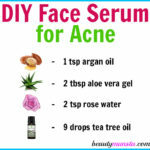 You will need some oil control essential oils and ‘dry’ oils for this serum recipe! Pour the oils into your amber glass dropper bottle using a small funnel. Cap tightly and roll the bottle gently between your palms. Do not shake. This is to combine the oils without creating air bubbles that can make your oils go rancid quicker. Apply 3-4 drops on your face after moisturizing and toning. Place ¼ cup of shea butter into a bowl then add 1-2 tsp of argan oil. Beat the mixture with a whisk to make it silky and creamy. When that consistency is achieved, scoop it up into a small amber glass jar. To use, scoop out a pea-sized amount and dot it all over your face. Massage it in and voila! Your face has been moisturized naturally! The Oil Cleansing Method is a popular all-natural way of cleansing your face – using oil! Don’t get scared! It actually works because the good oils you use help push out the bad oils stuck within your pores, together with dirt, dead cells and other impurities. The oils also help regulate your sebum production, deeply moisturize skin cells and help keep skin youthful! 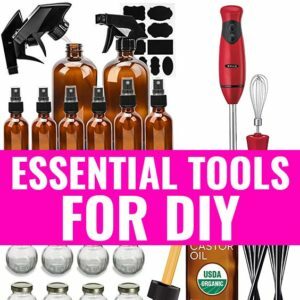 Combine the oils in an clean bottle in your bathroom cabinet. Gently massage 1/2 to 1 tsp of the oil blend onto your face for a minute or two to dissolve dirt and excess sebum on your skin and within the pores. Next get a washcloth and wring it out under hot water. Press the washcloth on your entire face to open pores and allow the oils to sink in. After you do this, wring out the washcloth again in hot water then close your eyes with your head tilted back and put the washcloth on your face. You’re gently steaming your face at this step. Now wipe off the excess oils from your face with the washcloth then splash cold water to close off pores. Voila! Your skin will feel cleansed, moisturized and supple! Face masks are great ways to provide extra nourishment deep into your skin cells. By making a moisturizing face mask, you will pump up your skin cells with much-needed moisture so that your skin is not dehydrated in the inner layers. Remember skin that looks oily on top can actually be thirsty inside! So moisturizing face masks can help locks in moisture and nourish skin cells at the same time! Begin by mixing the above ingredients in a bowl till well combined. Next, apply your skin care oil onto your face. Using clean fingers, scoop up the mixture you created in step one and gently apply it all over your face (don’t scrub! ), avoiding the area around the eyes. Leave it on for 5 minutes then rinse off with cold water. 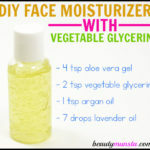 Pat your face dry and voila! Your skin will be moisturized and hydrated from deep within! In which of the ways above are you planning on moisturizing your skin naturally? Share below!